Our client for this project was very specific with what he wanted for the hallway of this new build property near Winchester. They knew exactly the type of welcoming fireplace they were after. The design chosen was an incredible hallway Bathstone fireplace that greets you every time you enter this impressive house. 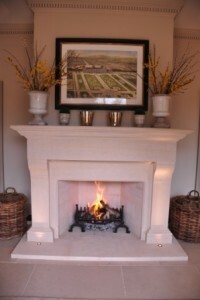 We created and fitted this centrepiece Bathstone fireplace on time and within budget. 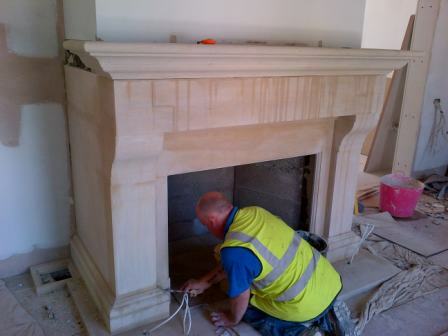 An interesting feature of this project is that ‘up lights’ were placed in the stone hearth. 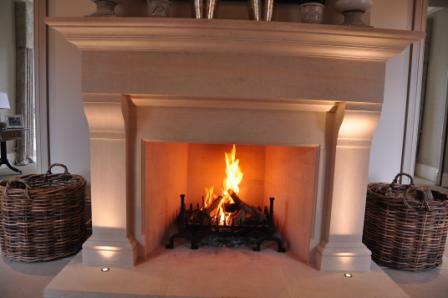 These lights help to add drama and atmosphere to the overall fireplace. 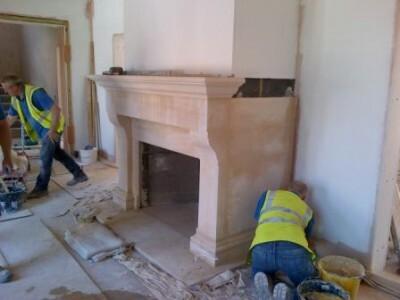 The proportions of the fire surround work really well in the living space and although it is a large fireplace it still holds it’s elegance. Finally, take a look at other impressive Bathstone fireplaces that The Billington Partnership installed.